Why does knowledge continue to travel only from North to South? To understand the powerful continuity in this exchange, this presentation will start with a historical reconstitution of its creation and functioning. Even in an increasingly decentered world we still witness the hegemony of academic exchange in which North produces theories and South is seen as a space for collecting data or applying Northern theories to particular cases. Knowledges are created under institutional frames that connect them to power interests. During the end of 19th century, for example, evolutionism created a kind of alliance between intellectual and ruling classes in different parts of the world. Later, after World War II, this same alliance was recreated with a new objective: spreading a modernization ideal based on the assumption that West - the US in particular - was the model for the Rest (of the world). Beginning with the 1960s, with the historical event Foucault called “the insurgence of subalternized knowledges”, we saw the rise of a set of studies connected to once overlooked inequalities inside the so called West. These studies challenged the old ways of creating knowledge and connected their work to the interest of subalternized groups like women, people of color, gays, lesbians, colonized peoples, and, more recently, queer persons. Unfortunately, this important historical inflection that created specific fields like feminist, post-colonial and queer studies has not changed the flux of knowledge production from North to the South. What are the reasons behind this continuity even in fields committed to subalternized people and experiences? Why are feminist, post-colonial, racial/ethnic, and queer studies made in the South not seen as interlocutors in the North? Why isn't Southern intellectual production circulated or taken into account in Northern genealogies of the so-called "studies"? Have “studies” been dragged into the academic battles inside US and Europe to conquer their internal institutional space while overlooking their possible allies in the South?Why – in a decentered world – do "studies" keep the global South in the position of a silent interlocutor that appears in generalized assumptions of contemporary production subsumed under expressions like international, transnational and global? Finally, what are the challenges to create a North-South dialogue? This presentation will try to address these questions and present some hypotheses, but its main objective is not to give any final answer or present a solution. The idea is to promote the discussion about how knowledge committed to subalternized people and social change can reproduce – and even reinforce - unfair power relations outside the borders in which it is created. Richard Miskolci is Professor of Sociology at the Federal University of São Carlos in São Paulo state, Brazil, and Researcher at Núcleo de Estudos de Gênero Pagu, UNICAMP. 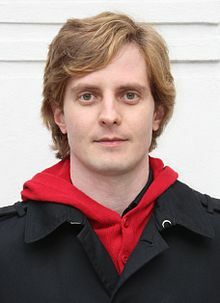 A key figure in the debate on queer theory in Brazil, Miskolci has authored several books, including Thomas Mann, the Mestizo Artist (2003), O desejo da nação: masculinidade e branquitude no Brasil de fins do XIX (2012) and is the editor of Dissident Sexualities (2007), the first Brazilian Queer Studies anthology. Dr. Miskolci is a Visiting Scholar in Feminist Studies at UC Santa Cruz this year.